The other day one of my nieces was packing for a road trip and shared this photo. 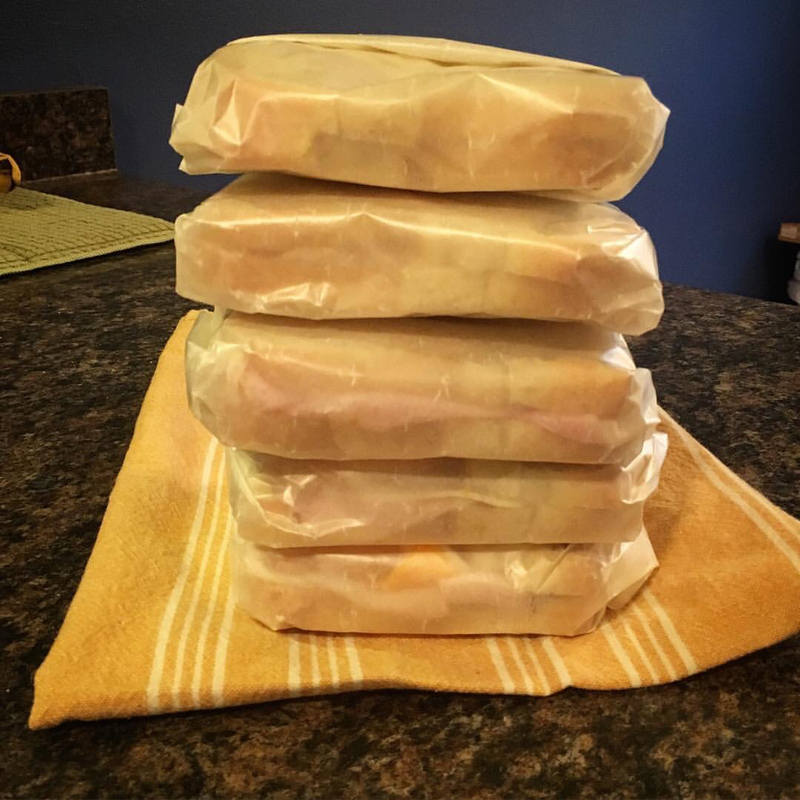 Sandwiches…simple sandwiches…wrapped in waxed paper so perfectly and so tightly that they stayed this way until unwrapped. So…this is my dad and he is responsible for some of my family members knowing how to wax paper wrap sandwiches. My lunch sandwiches were always wrapped like this but of course I never paid attention to the process…it’s just what my dad did…that and grow amazing tomatoes. Whenever we would travel back home to our house from trips to see my mom and dad…we always had a stash of waxed paper wrapped sandwiches and other goodies to eat on the way home. We would always tell my dad not to bother but he was already cutting slices from roasts and getting out the Cheffo D’Urso soft Italian bread and wrapping up those sandwiches. It usually took Den about an hour or two into the drive to ask me where my dad’s sandwiches were…soft bread…roast beef or roast pork..mustard…these sandwiches were unbelievable. I don’t know why July 4th makes me miss him more than any other holiday…I guess because he loved it so much…fireworks, his children home, lots of food and plenty of leftovers for those waxed paper wrapped sandwiches! I knew he and my dad would have been friends – my dad grew amazing tomatoes too. I've never had one as good since he quit growing them. Your dad sounds awesome. My dad used to make us sammies for school. That is why I love a good deli sandwich, especially when we used to hit up an old, Italian family deli in North Beach. Now that sounds incredible, too! I love North Beach! Wow. I may have to try learning how to do that. Oh, yes, memories are the best, like those waxed paper sandwiches. I had those in my lunch box for school, and for picnics in the summer. Your dad's sandwiches sound wonderful! Thanks for sharing. Thanks for sharing your memories! Aren't Dads so special in their daughters' lives? I miss mine as you miss yours, but it's nice to remember them on holidays especially. Hope you had a good July 4th! So do you know how to fold these? I love this post. And I remember sandwiches wrapped in waxed paper. 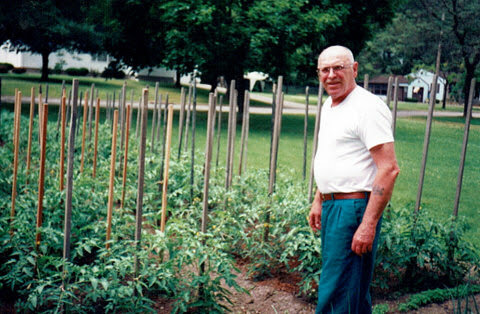 I'm lucky to still have my dad – he has a garden and his tomatoes, peppers and rhubarb are the best you can eat. Mary…that is so sweet! I love that you have your dad!